Cord Cutting – Get the Past Out of Your Present! 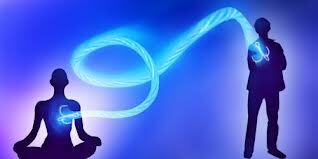 Cords are etheric strands that come out of one person’s aura and attach themselves to another person’s aura. Where there’s a cord there’s negativity. Nothing positive has the need to produce cords. Cord perform the functions of (i) an energy exchange or drain and (ii) maintaining a live negative energetic connection with another – even if you are not in direct contact with them or they have passsed. Cords are formed when there is a significant emotional, psychological or physical connection charge. Cords are formed quickly and easily and are most common. It is not desirable to be corded to others and it is better to run off your own energy system and allow others to run off theirs. Think about it – do you really want to be keep supporting someone else’s energy system – if it means your own power is running on less than its full amount? Cords can leave you feeling drained, tired and down or allow a physical sensation or emotional and psychological pain. Importantly, cutting Cords can help you move away from feelings of being a victim. 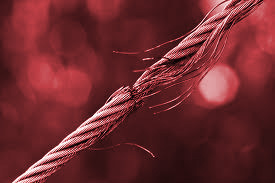 You are no longer a victim and regluar Cord Cuttng can bring you a sense of being in more control of your own life. I am able to pinpoint negative cords and with your permission remove them. I will also perform an Aura Cleanse to purify the energies in your system to uplift and transform them leaving you feeling re-energiesed and re-vitalised. This is a very specific form of healing that can be used repeatedly to good effect. I de-cord myself at least twice a day and before and after each session. It has been one week since the cord cutting process and I do have some feedback to share. There is a significant difference to my spine. For the first time in about thirty years I can actually sit and stand upright. It is likewise a joy to lie down completely flat on my back. Looking back at the many cords placed from the past plus the self-generated thoughtform, it was no surprise for all to be literally stunting my growth. Also my spine refuses to hunch forward or readopt its previous posture. This became noticeable moments after the process had concluded. I find it easier now to focus on what is truly important to me and not be unwittingly sucked up into other people’s melodramas. Since our meeting I note that I am armed with the knowledge of disengaging from cords and it makes it a lot easier to stand my ground. It is a relief also not to be “responsible” for others any more: in fact it is my wish for them to learn to take care of themselves and not gatecrash on my own personal space. I have a lot of catching up to do after being freed. I sense my current situation is set to change immensely by the end of this year. 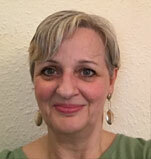 [A few weeks later] Since then I have noticed there is a definite change taking place: I’m beginning to find my own feet again on my path and there have been some interesting energy clashes between myself and prospective energy thieves. It is as if these people are not permitted to gain a foothold in my energy at all. You can use some of my words as a testimonial. Other people need to be informed as to how truly effective cord cutting is and not some hokey airy fairy placebo, no matter what so-called sceptics claim (and I do not mince my words here). I can only trust my feedback will help others make a wise and informed decision for granting this gift upon their lives. Wonderful. Name Withheld, I am honestly feeling much lighter and much more focused and happy! Before I struggled to do my coursework and many times I could not do my work for days and days and I just kept staring at the PC. But now I am feeling much confident and positive about myself. Thank you so so much from my heart for your kind help and beautiful healing. I have been working with Elizabeth Rose for some time now. Living in Germany, you can imagine that the best way to work intensively together and on a regular basis is by Skype. The cord cutting has been one of the different tools we have been using. Without standing near Elizabeth, I still got all the benefits of it. I really feel it every time in my body and my mind. I always feel so much lighter afterwards. In fact I got a recording from Elizabeth on cord cutting. I used it a few times last week as I was travelling abroad. Again it was wonderful and I felt free and well in my skin each time after doing it. Her voice is so comforting and powerful at the same time. Thank you for your great job. Name Withheld, I am doing my cord cutting every day. After treatment with you my body shaking stopped – I used to shake and felt extremely tired all the time. Now, I know that when we attach to other people – they can really sap our energy. So I am grateful for the skill you taught me. It took me long time to realize that cord needs to be cut for us to use our energy fully for ourselves otherwise we are feeding other people and feeling fatigue ourselves. The cord cutting I am doing every day since I saw you is a first time I am doing something regularly and not giving up. Normally I start things and give up easily after a while and now I feel its possible not to give up all the time. Thank you so much for the healing session yesterday. I am feeling much lighter and a lot of strain has lifted from my back. It’s a beautiful, light and clear feeling, which I really would like to maintain. I’ve been doing a few cord cuttings already and am more careful in wording my past patterns. Thanks for the teachings! This absolutely works – I love how it works instantly and it’s sooo easy to do. Thanks for the homework – I have been using it daily starting with the cord cutting, which does seem to be changing the way that I feel about others around me for the better and maybe that is helping me to feel better about myself. I have been cutting cords every night before bed, and it does help. I will keep going until it becomes a regular daily habit. All well with me – am still doing the Cord Cutting twice daily and the saying the affirmations. I’m not feeling as desperate and down as I was when I saw you. I do get frustrated now and again but generally I’m ok. THANK YOU!!!!! You are doing wonderful work! You helped me so much, Elizabeth, you may not imagine! How do I know? It’s simple. I had a feeling of connection to my power, it’s a power of strong attraction to what is LOVE, what is beautiful both in form and contents and more importantly for what I don’t have to wait for but can joyfully live out of myself. Cord Cutting is a fantastic method. Thank you for your very warm and energetic hands. I learned Cord Cutting as part of my Angel Therapy Practitioner’s certification with Doreen Virtue. My first ever cord cutting experience revealed some pretty big cords in my aura and illustrated to me that I wasn’t getting 100% of my energy for myself. It also showed me where some of my energy was going and there were some interesting revelations as to who was feeding off me! For example I had a cord still attached to a boyfriend whom I’d dated some 26 years earlier and not seen since. I was stunned to think we still had any connection after all this time – especially as the relationship had a negative effect on me. I was very surprised, as I didn’t consciously feel the drain or any connection to someone from so far back in my past. And they say that Time Heals but rather I think time rather allows you to forget, because it is true that I was still carrying emotional scars from that relationship that impacted on my behaviour, so to leave the cords in would have meant more of the same. After that when I tuned in to the right energetic frequency – I saw there were definitely cords between me and several other people from my past, which didn’t feel right either – as they too were also negative. My past is my past and has no place in my present. I gave my permission to cut that cord readily and I cut the cords. All of them. Every single one. As the cords were cut I actually felt something tug out of me and felt a little spacey for a second or two. Then I felt lighter and more energetic, started laughing loudly and got quite a buzz! Today I cut my cords very regularly – every morning in the shower and last thing at night in bed. I also cut my cords several times a day – especially if something affects me and I always cut my cords when I get off a bus or a train or leave anywhere crowded. I always feel lighter and cleansed when I do this. And I believe Cord Cutting has facilitated a deeper connection between me and the Angels – especially Archanegl Michael and Raphael – whom are involved in the process.